The clean lines and interesting design of this high rise building make Baan Prompong an unmissable addition to this popular part of Bangkok. The building boasts a total of 98 fully furnished units, which are set on 22 floors. 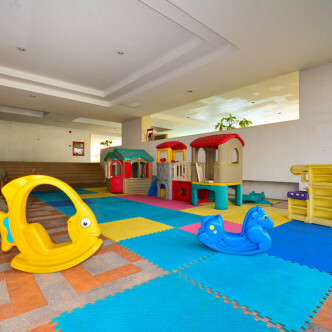 Families are sure to love the bright and colourful indoor children’s play area, which comes complete with a large play house and an imaginatively designed climbing frame. 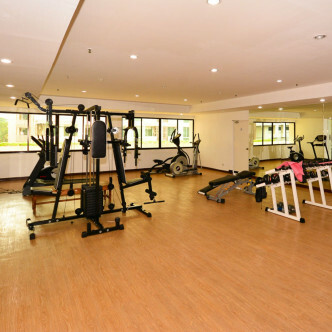 There are also plenty of facilities here for adults to make use of such as the stunning outdoor swimming pool that is shaded from strong sun and rain by an overhanging roof and a modern fitness centre. 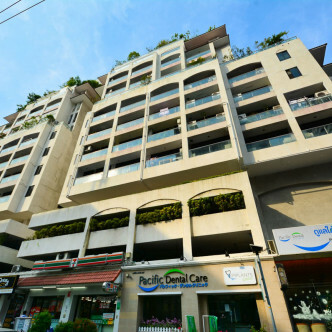 As the name suggests, the location of Baan Prompong is in the Phrom Phong district of Bangkok. 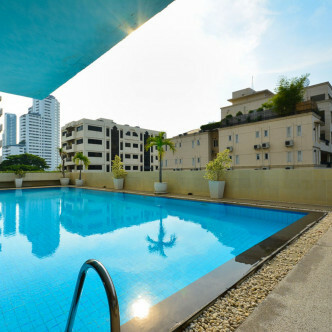 This is one of the most desirable neighbourhoods in the city and a good number of shops and cafes can be found right in the basement of the building, while Petchaburi MRT station can be reached on foot in just a few minutes.